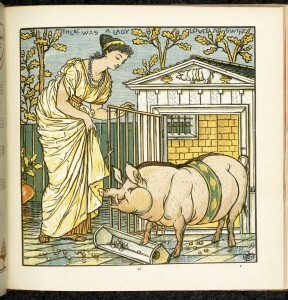 PUBLIC DOMAIN IMAGE from Walter Crane, The Baby’s Opera (1876), courtesy BabylonBaroque. Around the country today, CPSC regulations are forcing retailers to throw out new, unused baby cribs — estimates of the number range higher than 100,000 — that the federal government itself considers safe enough to be used in day cares. I explain the latest Nanny State snafu in a new post at Cato at Liberty. The new standards ban drop-side cribs. But the standards also prohibit the sale, new or used, of all cribs – both drop-side and fixed-side – that are not tested to the new standards by a private laboratory. Because very few cribs that were not originally manufactured to the new standards will ever be tested, the new standards essentially ban all such cribs – drop-side and fixed side. As reported in today’s press, millions of drop-side cribs have been recalled. On the other hand, tens of millions of fixed side cribs manufactured to previous standards have never been recalled, never been found to be unsafe, and now also cannot be sold new or resold used. “Motion Claims Buxom Woman with Opposing Counsel Is Intended as Jury Distraction” [ABA Journal] More: Ken at Popehat, Lowering The Bar, Above the Law. Reform efforts are finally afoot in the House of Representatives, at least two years after they should have started, but a three-member majority of the CPSC (two Obama appointees and a holdover) is defending the law on many though not all of its worst points. [Bloomberg, HuffPo] “This is by far the best bill we’ve seen to date,” declares the Handmade Toy Alliance. Tireless CPSIA critic Rick Woldenberg testified with other witnesses at a House Commerce hearing and contributes an op-ed to The Hill about the law’s irrationality. More coverage: Carter Wood/ShopFloor, Sean Wajert. And a memo by committee staff discussing some of the key issues is here (PDF). A thrift store owner explains why. [Rick Woldenberg] More: Timothy Carney, Examiner. Do NYT editorialists even read their paper’s own CPSIA coverage? If one were to take a charitable view, one might commend the Times editorialists for at last deigning to concede that the law might usefully be “tweaked,” at least within a very narrow latitude. They finally acknowledge that there “might be a way to exempt products from testing if they very clearly do not pose a lead-related hazard,” without acknowledging that the great majority of products swept under the law’s coverage fall into exactly such a category. 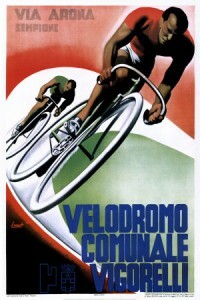 But they continue to insist that even older kids be denied access to products that could not pass CPSIA’s lead testing, including whole categories of products like kids’ bicycles and ballpoint pens whose designs still cannot dispense with the (entirely harmless) use of brass and suchlike alloys. Only the repeated staying or postponed enforcement of many of the law’s requirements has spared the country a long list of similar absurdities — while the legal absurdities that the CPSC has not stayed or postponed have already wiped out makers and vendors of harmless products from coast to coast. Even under the best of circumstances, the Times’s editorialists would find it hard to live down their cruel, ideologically blinkered track record on the CPSIA issue. But couldn’t they at least pretend to be following the coverage in their own paper? More: Handmade Toy Alliance. And Rick Woldenberg offers a critique of the the Times’s new, and anything but improved, news-side reporting.